The makers of the famous Blackberry, Research in Motion Ltd., said on Thursday that they have slashed their sales forecast for this quarter because they saw a significant decline in their sales. They further said that they are selling cheaper and less phones than they originally expected. Jim Balsillie, co-CEO of the company said that the decrease in sales is due greatly on the delay of the release of their high-end phones. He also confirmed that the company is transitioning to a new line of phones. In a conference, Balsillie told reporters that the company is in the process of shifting over to a new product line. The co-CEO said he, along with the rest of the company, is very excited for the upcoming changes. They are committed to strategies that will yield long term results. This is the second hit on their stocks in a month. On the 24th of March they announced that they are expecting total sales of $1.47 to $1.55 per share for this quarter. That is lower than what analysts predicted earlier this year. On Thursday, they further lowered the range to $1.30 to $1.37. The company also confirmed that they will also lower the number of shipment to around 13.5 million. Balsillie promised that the company will amaze everyone during their Orlando, Florida World Conference. 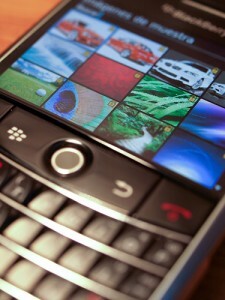 Analysts take Balsillie’s word as BlackBerry has been strongly trusted for providing email devices. However, they are still yet to keep up with Apple’s iPhones and other Android phones.